Every year Erica travels around the country speaking on Gospel-centered topics, intersecting the timeless truth of Scripture to our everyday lives.  Discover topics, discussions, and talks that Erica has prepared specifically to minister to the current needs of the women she serves. Explore her current topics below — if you have questions about constructing a talk designed specifically for your event, please contact her through the Speaking Inquiry form available here. Walk alongside Peter and discover his radical transformation. In fifty days he went from timid man to courageous follower of Jesus. As we walk alongside Peter in the first twelve chapters of Acts, we discover a radically transformed man. In only fifty days Peter went from a timid man, full of fear and hiding in the shadows, to a courageous follower of Jesus. The change was unexplainable, a work of God in Peter’s heart and mind, because as those around him noted: Peter had been with Jesus. How did the change occur? And more importantly, can such a change occur within us—today, in the here and now? Step away for the weekend and meet Peter face to face and encounter the source of his power. Become challenged to grab hold of that power yourself, believing that God wants to do something in and through you that is unexplainable apart from him. Experience the Biblical history behind an Unexplainable study topic and gain insight into Erica’s research and writing process and personal discoveries. If you’re completing an Unexplainable study as a group, start or finish with a visit from the author. At a kick-off session, Erica can present the biblical history behind a study topic, and what God personally taught her through the research and writing process. At a wrap-up session, she’ll review some takeaways and action steps, and answer your lingering questions. Either way, Erica will challenge your group to glean as much from Scripture as possible. One to four sessions. Note: This session can combine with a leadership training workshop for Bible-study leaders. Erica can help you cast the vision for your meeting time, managing sessions as opportunities for personal transformation. She’ll also discuss how to effectively facilitate small-group time. Discover the secret to an eternal hope and the resolve needed to live in the promise and power of God — even when life disappoints. We are all hoping for something: our marriage will make it, our kids will have friends, our bank account will grow, our test results will show we’re on the road to recovery. And we all put our hope in someone or something: our spouse, our job, our savings account, our BFF or our therapist. Hope produces a thrill because it fosters the belief that somehow, in some way, because of someone or something, life can become better than it is. But sometimes the person or thing we were hoping in disappoints us and the hope fades. One to two sessions. Can be used for a Christmas Event. How do you live an intentional life, full of vitality? With an increasing to-do list, and so many distractions demanding time, how do you make the most of your days? And what are you supposed to be doing here, anyway? By looking at the incredible transformation that occurred in the disciples’ lives through the patient and persistent work of the Holy Spirit and the transforming power of the Word of God, participants are invited to think about their own story they long to tell: what is the legacy they long to leave behind? Discover the secret to passion filled living from Peter and John, which they finally discovered after years of following Jesus! Experience a practical workshop where your dreams, talents, skills, passions, and experiences are transformed from information to implementation. Learn how to unwrap and beautifully display the gifts God has given you for His glory. Does life sometimes feel overwhelming? Or maybe you’re in a season where you’re going through the motions but you don’t feel as close to God as you did at one time? We weren’t meant to merely survive through life, we were meant to THRIVE! And God shows us how in His Word. Open our arms widely to receive the abundant life He has for us! A soul at rest, a heart set free, a life of joy and meaning..come learn to embrace your calling and THRIVE! This practical and personal getaway includes two to four sessions. Explore examples in Scripture where God led His children from the mountaintop through the valley and then up the mountain again. Insight into the promises God has made to His people. Moments on a spiritual high feel great, but what about when you’re in a valley? Whether you’re on a spiritual mountaintop or struggling in a dry valley, God wants to teach you. You’ll explore several examples in Scripture where God led His children from the mountaintop to the valley and then back up the mountain again. There is great promise and insight to gain, no matter where you travel on your life journey. Grow in your understanding of God’s great love for you, His design for His daughters and the power of community along life’s journey. Rock the boat and step into waves — explode out of your study time rut. Discover new voices of insight and truth, and experience renewal and vibrancy in your spiritual walk. Do you feel your group or individual study time is stuck in a rut? Do you follow a handful of favorite video teachers and you’ve exhausted their available resources? Or do you feel maybe it’s time to mix it up? Are you discouraged from spending continual time in Bible study, yet not observing spiritual growth? Do you wonder how to reach across generations to encourage different ages to commit to study time? Then it’s time to rock the boat and step into the waves! Recover your sense of awe and wonder within the Word inviting God to do the unexplainable in and through you. One to three sessions. Can target ministry leaders and/or be combined with a leadership training conference. Dive into the life of Elijah and discover how God meets heartfelt needs during difficult moments with tenderness, faithfulness, and purpose. He is kind, gentle, and trustworthy. Sometimes things like fear, insecurity, rejection, and past hurts can take root in our heart stifling the life of God in us. Scripture provides us many examples of how this occurred in the lives of God’s people. However, God intends for us to flourish and thrive! So how do we dig out these harmful roots and begin to bear fruit that will last? God tells us in His letter to the Ephesians how to dig up those roots and replace them with life giving truth. Stop believing the lies that keep you from growing in your faith. Push past your history and begin living His Story. Tap into God’s design to strengthen, transform and empower your life. Experience a heart and mind transformation through the promises in God’s powerful Word! Witness examples of how fear, insecurity, rejection, and past hurts took root in the lives of those in scripture and how God reveals a way to dig up these roots and replace them with life-giving truth. Creating a balanced ministry when planning, designing, revamping, or launching a women’s ministry — teaching fundamentals and creating disciples. When planning, designing, revamping, or launching a women’s ministry, how do you decide which activities prove essential, and which do not? What does a balanced ministry require, and what fundamentals do you need to teach women? How do you ensure you’re teaching the full counsel of God’s Word? How do you effectively disciple women toward life change? This planning and brainstorming workshop can answer these questions, taking your women’s ministry to the next level. One to three sessions. For women’s ministry leaders. Create characters and storylines that encourage readers to take action beyond emotional response — but actually life change. Everyone loves an inspirational story, but how do you move a reader to action? What’s the difference between invoking an emotional response and challenging your reader to step out and be the change? This session invites you, as the writer, to create characters and storylines that encourage your readers to go and do something with your story. Be reminded of your uniqueness, a creation designed by God — all through the lens of Mary, the Mother of Jesus. Even in the midst of busyness and the overwhelming, it is our character that counts. This session reminds us of our uniqueness and how we are each specifically designed by God. Looking intently at Mary, the Mother of Jesus, we see how ill-equipped she seemed for the task set before her, yet God chose her nonetheless, to be the earthly mother of His Son. When we doubt our capabilities, wonder at our circumstances, and feel overwhelmed, Mary reminds us that it is our character that counts! This session works especially well during the Christmas season, but can be adapted for use all year.